Cloud Nine is a full-service Aveda Salon and Spa open seven days a week. We offer a wide range of salon and spa services including haircuts for men, women and children, hair color, perms, nail services, full-body waxing, massage and more! 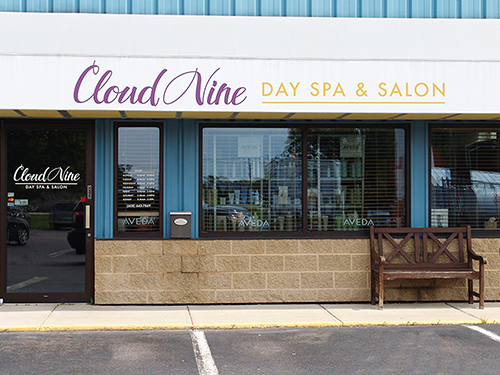 Whether you want to relax and unwind with a spa treatment or create a fun new look, Cloud Nine is the perfect salon and spa for you! Visit our website for a full list of services and to meet our team and ''like'' us on Facebook for exclusive specials.